Cooking bases: The Glorious Italian Ragù | Pasta & Co.
Ragù or Ragù alla Bolognese is a hearty, delicious, glorious meat-based sauce. Originated in Emilia Romagna, the paradise of fresh pasta, this sauce is served best with eggy pappardelle or pillowy potato gnocchi. Great to have a container in the freezer to whip up a batch of Lasagna or Messy Baked Pasta for hungry friends coming over. 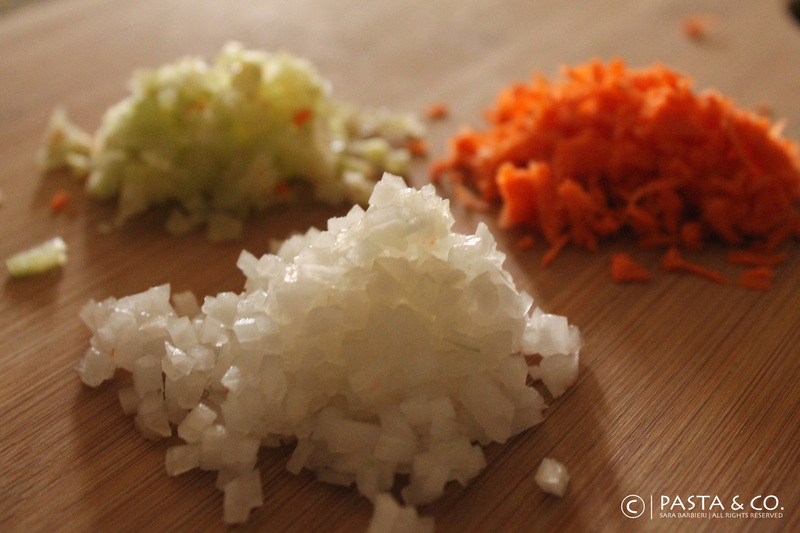 Every step of the preparation of Ragù is designed to draw out the best from each ingredient. The vegetables are slow-cooked with pancetta until they are melted together in a savory medley. 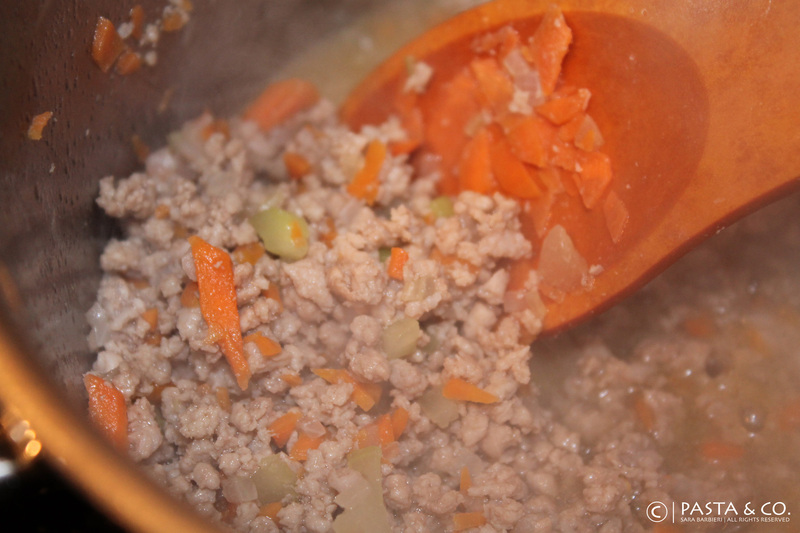 The meat is slowly simmered to cook off its water content, helping it brown properly. 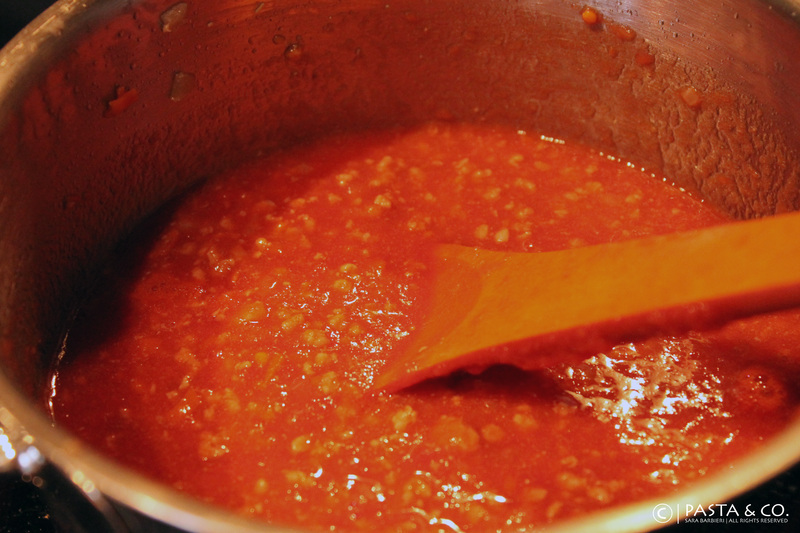 Wine and tomato sauce are reduced to the point of evaporation, leaving behind their concentrated flavor. 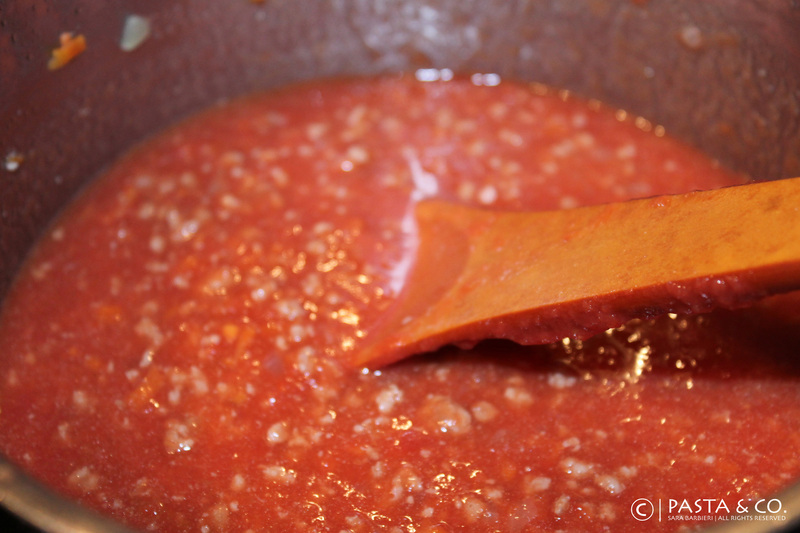 Then the sauce is slooooowly simmered over low heat for 1 and 1/2 hour, resulting in a rich, meaty, concentrated sauce. 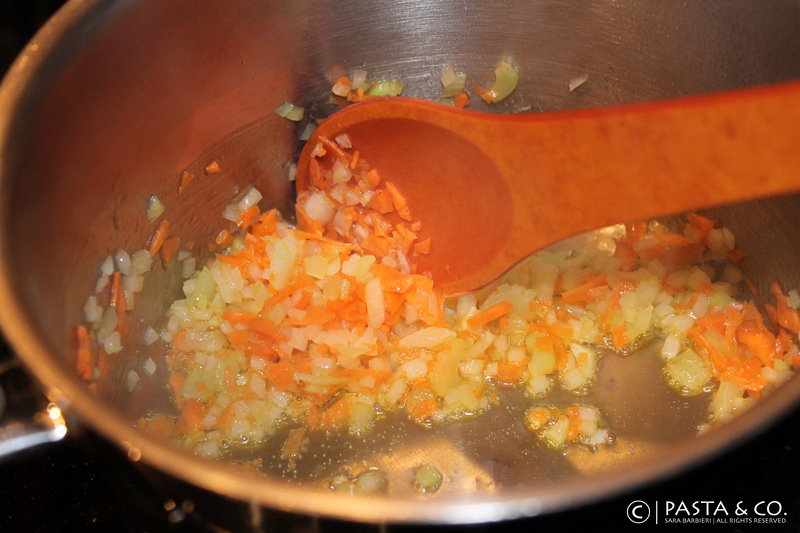 1) Clean the onion, the celery and the carrot and chop them finely. Mince pancetta. 2) Simmer pancetta over low heat. Add 3 tbsp of olive oil and the chopped veggies. 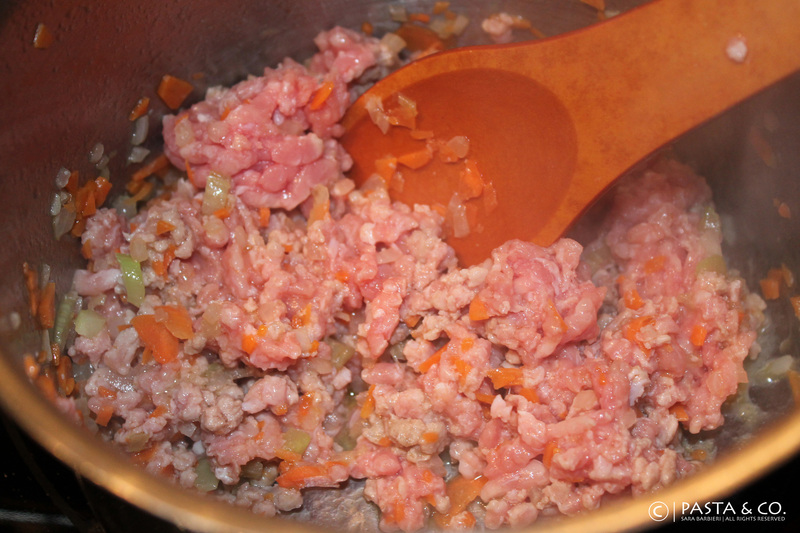 3) When the veggies have softened (after a couple of minutes), add the ground meat. 4) Brown the meat and break it up a little bit with a wooden spoon. In two to three minutes, the meat should be ready and that’s when you will add the wine and let it evaporate. 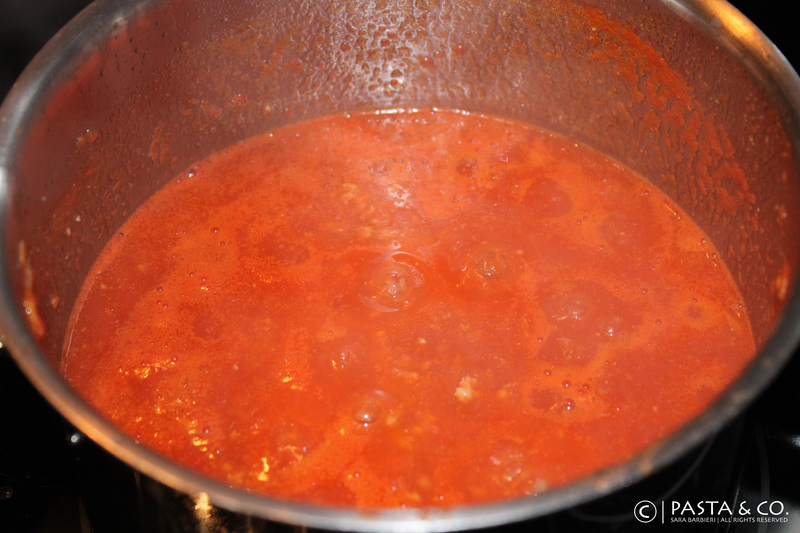 5) When the meat is frying again, add the tomato sauce and the bay leaf. Give that a good stir. 6) Season with salt and pepper to taste. Let it cook for 1 and 1/2 hour. Pamper it with a good stir now and then. 8) After 1 and 1/2 hour, the ingredients will be cooked together and they’ll also reduce slightly. You’ll get a lovely thick rich meaty tomato sauce. Spice it with a pinch of nutmeg. Ragù is awesome with lasagne, tagliatelle, pappardelle, gnocchi, pasta pasticciata (messy baked pasta) and even as spread on some warm bread!